Michael Matheson, Tamara Sanibañez, Jason Redwood, GILF! 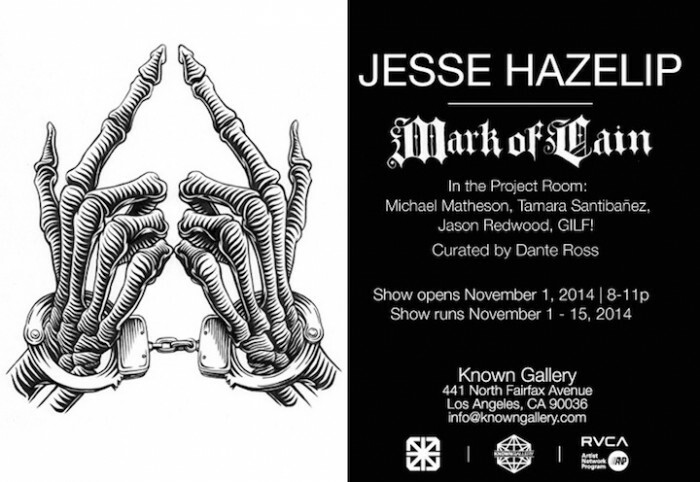 Known Gallery is pleased to present Mark of Cain, current works by Jesse Hazelip, in what will be his first solo exhibition in Los Angeles. In conjunction with the event, the artist will release a limited edition three-color screen print, available for purchase during the opening reception.